Scientific software projects rarely have resources available to promote themselves to the community. 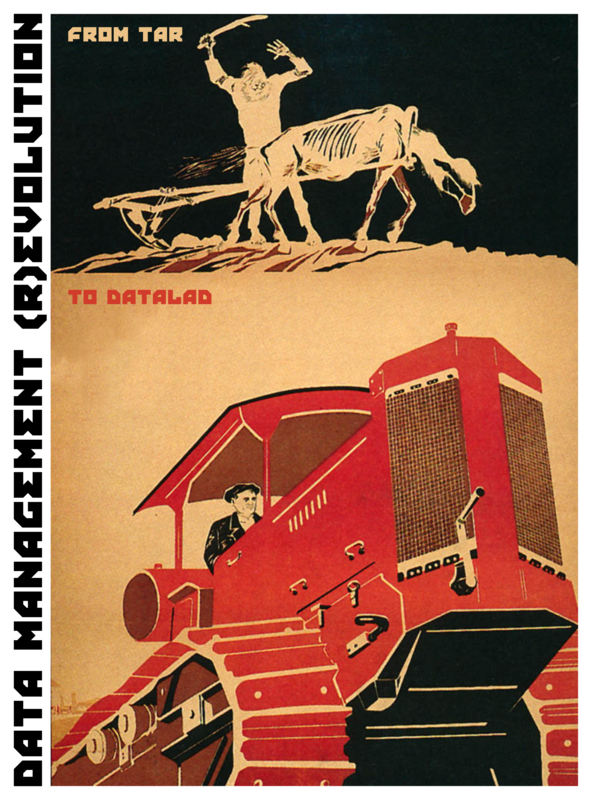 This often leads to segmentation, lost efforts in re-implementing already existing solutions, and quite often simply choosing some proprietary products. To help you helping us to promote various projects we lead or just know about, this page provides a collection of pamphlets which you could print, share (as a PDF - just click on the corresponding image), and contribute to (links to the sources provided where available). 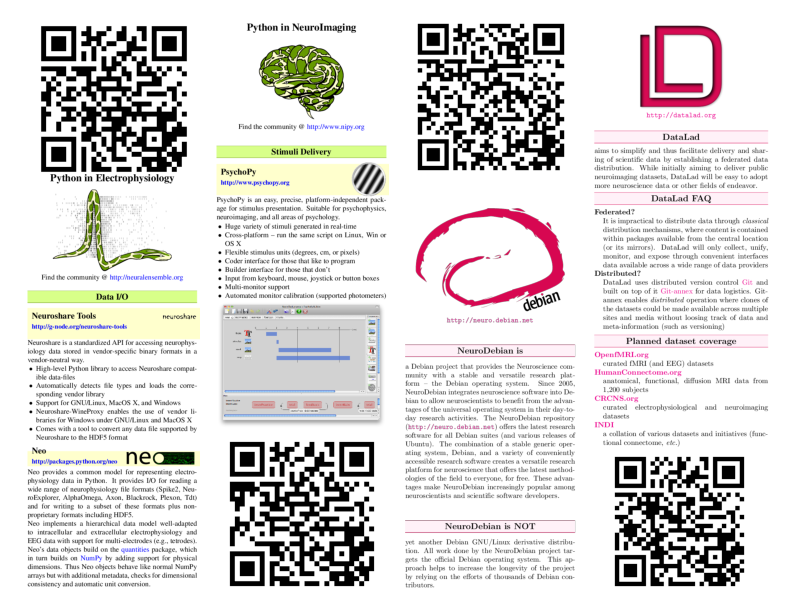 This single page pamphlet provides QR codes to download some of the pamphlets listed below. Best to be kept at an exhibit booth for visitors to scan or to be presented on a bulletin board. 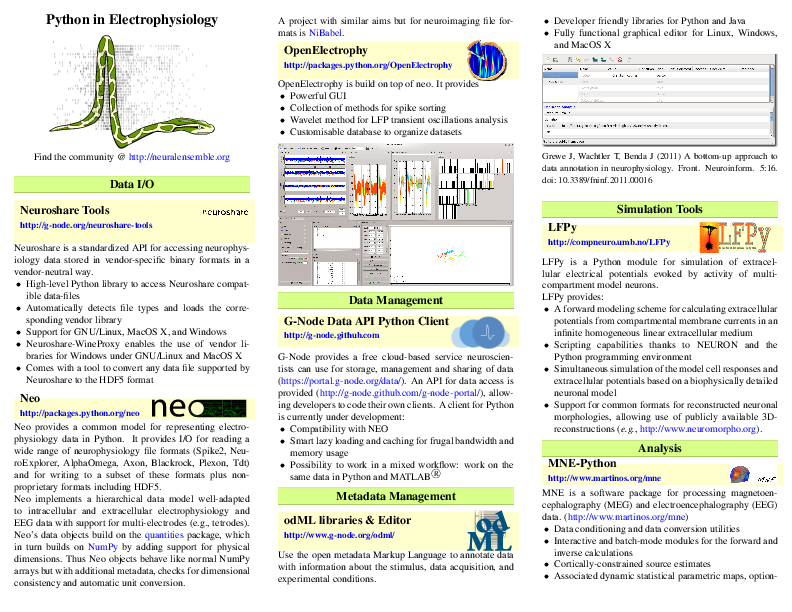 Double-sided tri-fold presenting Python-based projects useful for research in electrophysiology (LaTeX sources on GitHub). 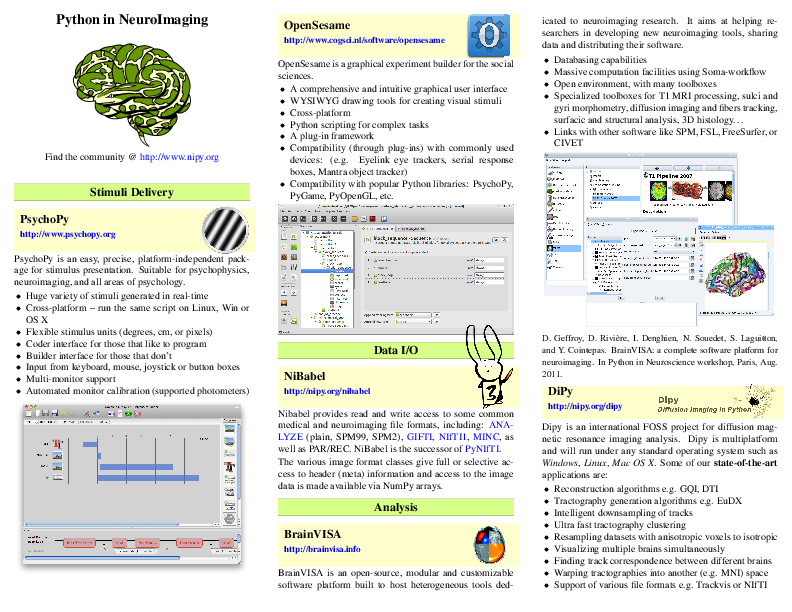 Double-sided tri-fold presenting Python-based projects useful for research in neuroimaging (LaTeX sources on GitHub). 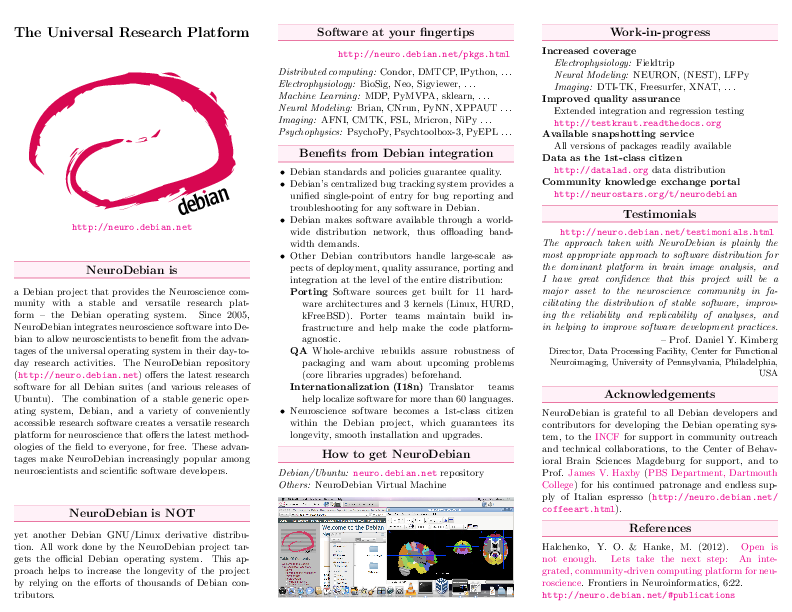 Double-sided tri-fold on one side presenting Debian and on the other NeuroDebian projects (LaTeX sources on GitHub). 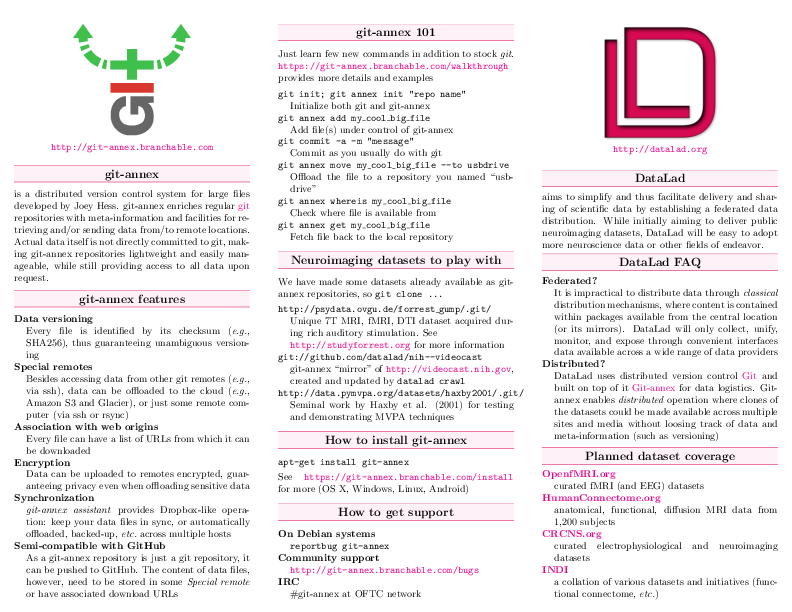 Double-sided tri-fold presents DataLad and its core git-annex projects (LaTeX sources on GitHub). 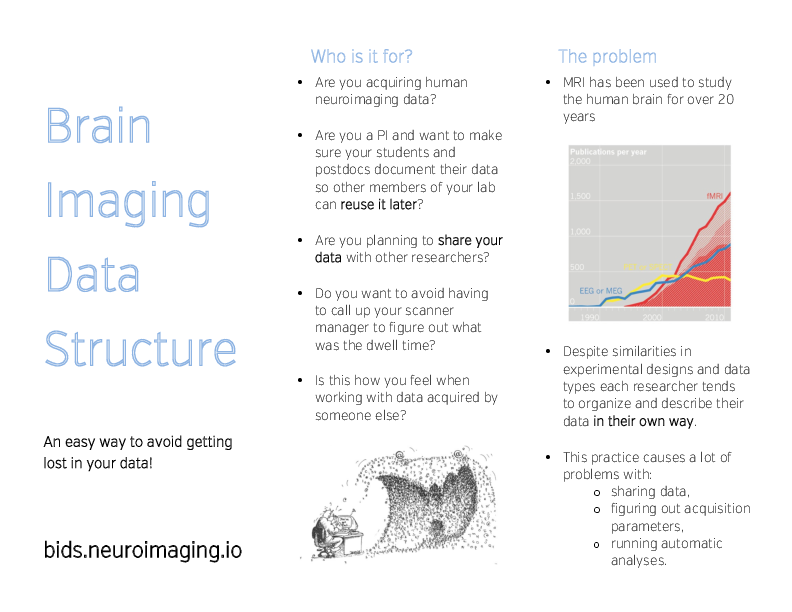 Double-sided tri-fold presents BIDS (Brain Imaging Data Structure) which describes a standardized layout for neuroimaging data files to facilitate methods reuse, sharing, etc. Together we can make neuroscience a better science! 3 Maynard Street, Hanover, NH 03755, USA. 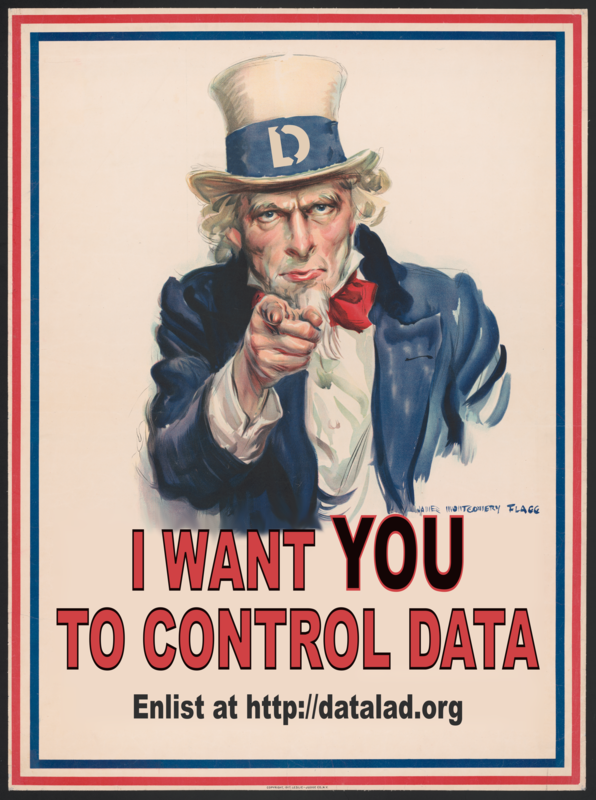 Center For Open Neuroscience is not directly affiliated with COS (Center For Open Science). Website content is copyright of respective authors and released under CC BY 3.0 license. Website design is based on buddycloud.com, released under Apache 2.0 license.